Pipes are available in metric series ranging from 20 mm to 50 mm, in a standard length of 6 meters, plain at both the ends. These pipes are joined by use of solvent cement in which mating & fusion between the pipe & fitting takes place creating a homogeneous joint. The pipes are in gray color & the fittings are dark gray in color. 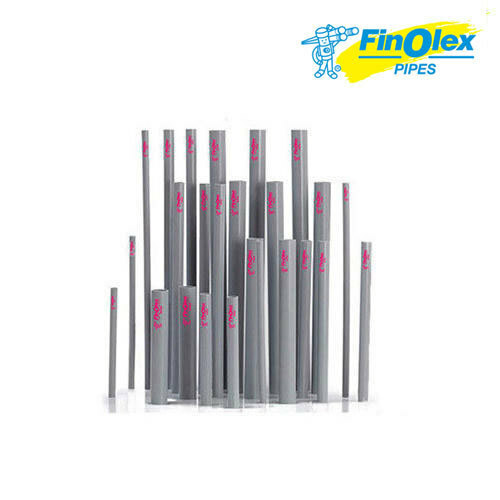 Finolex Industries Limited is India’s leading manufacturer of rigid PVC Pipes & Fittings. It’s state-of-the-art manufacturing plants are located in Pune and Ratnagiri in Maharashtra and Masar in Gujarat. Apart from these units, distribution is also done from warehouses at Chinchwad, Cuttack, Noida and Indore. Finolex Industries Limited has a pan India reach with a retail distribution strength of more than 17,000 dealers and sub-dealers across India. D-1/10, M. I. D. C.